- Larger groups enjoy a discounted rate per person! - Clothes should be comfortable and preferably closed. 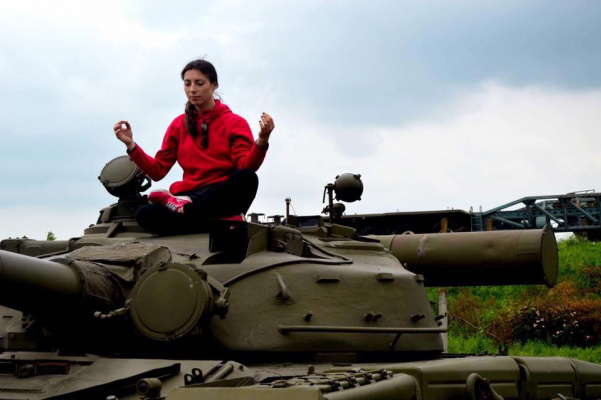 Please note that driving a tank is not the same as sitting at the wheel of a Mercedes. - Be prepared for rough weather conditions. - NB: Adventure Tours cannot refund your money in case you cancel the tour without notifying us in advance. 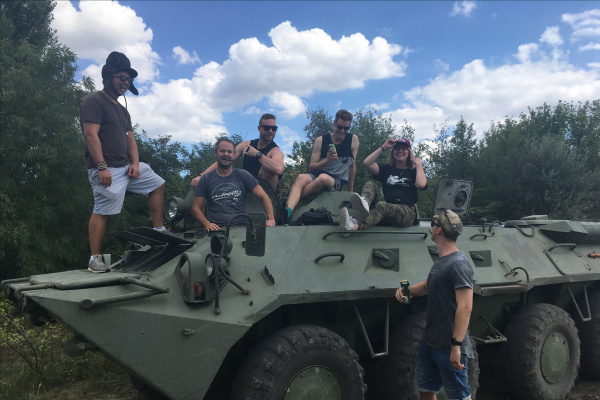 Driving a car is an experience that most of us take for granted, but sitting behind the wheel of a real military vehicle is an adventure of a different order of magnitude! 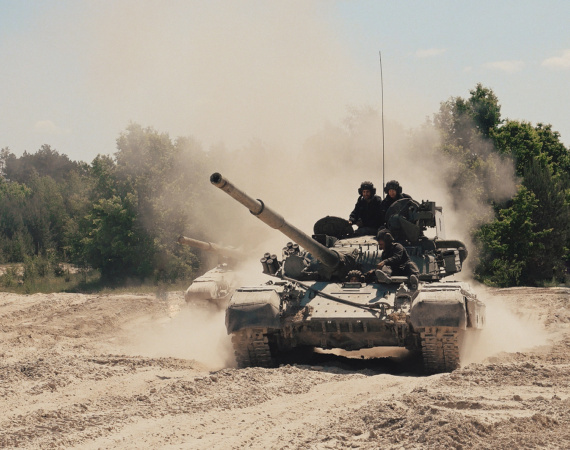 Come and experience the strength and power of these warhorses, and experience your surroundings through the eyes of an on-duty tank driver when you sign up for a tank driving tour with us. 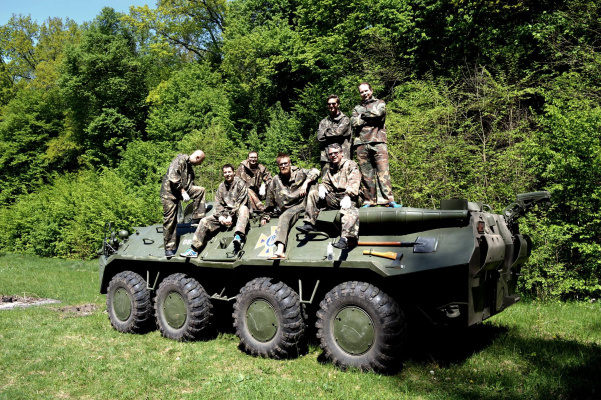 Adventure Tours offers you a customized excursion, which is one of a kind in Ukraine. As our guest, you get not one but three options to choose from. 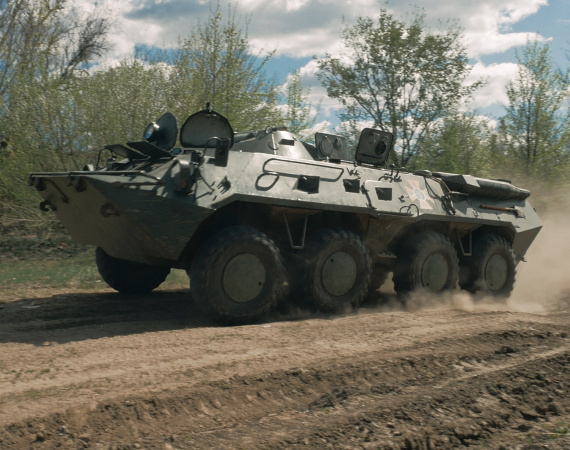 You can drive either a BTR-80, an MT-LB, or a BDRM-2 APC. 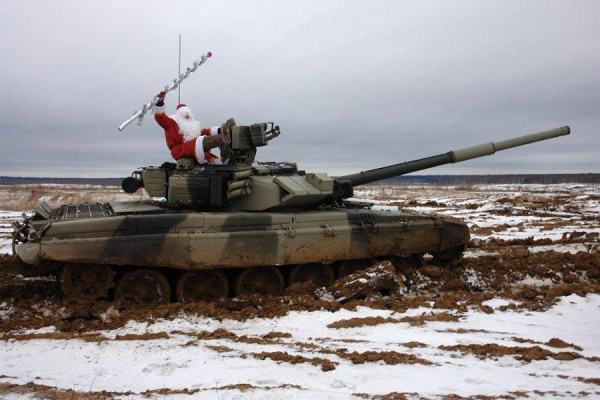 Or the legendary T-64 Tank! 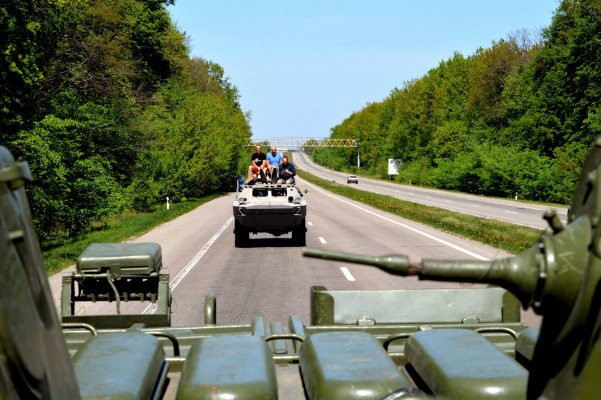 In each case you will learn all the safety precautions and driving techniques from an experienced instructor stationed at a special military base, and after the training you will have your chance to maneuver the vehicle off-track through a practice field. 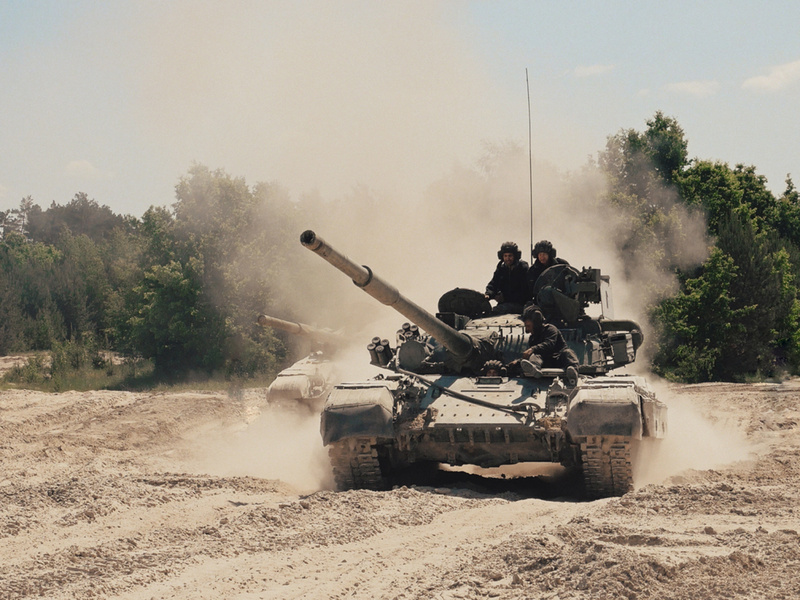 The Golden Standard of our tank driving excursions is the T-64 tank tour. If you choose this option you will get to sit behind the wheel of this warhorse as you run over a pair of scrap cars that we put there especially for you, and crush them under the treads of the vehicle, while enjoying the power and the rumble of a 39-liter, 560 horse-power engine! 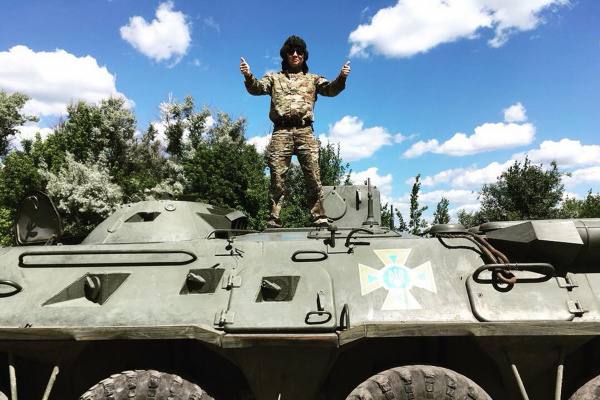 Adventure Tours will pick you up in Kiev and drive you to the military base. After a safety briefing, you will spend 30 minutes to 1 hour riding with an instructor in the military vehicle of your choice. During the course of this time you will familiarize yourself with the topography of the area we are navigating in, and learn to drive the vehicle by yourself. 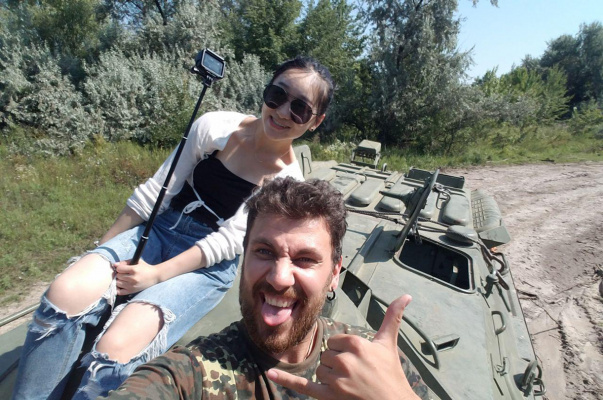 We will debrief and share experiences over a coffee break, and at the end of the excursion Adventure Tours driver will accompany you back to Kiev. Or the Multipurpose Towing Machine Lightly Armored. It's a 10 ton crawler track vehicle with levers instead of a steering wheel. With 240 horses under the hood this little monster can ride across a no-road field at the speed of 40-60 km/h. It's amphibious, and thus can move across literally any type of land. Fits up to 13 people, but you will be driving it with just the instructor by your side! This vehicle was designed primarily for reconnaissance. It features relatively thin armor and boasts a high all-terrain travel capability, allowing it to breach small trenches and other obstacles, infiltrating into the enemy’s back land and carrying out surveillance. 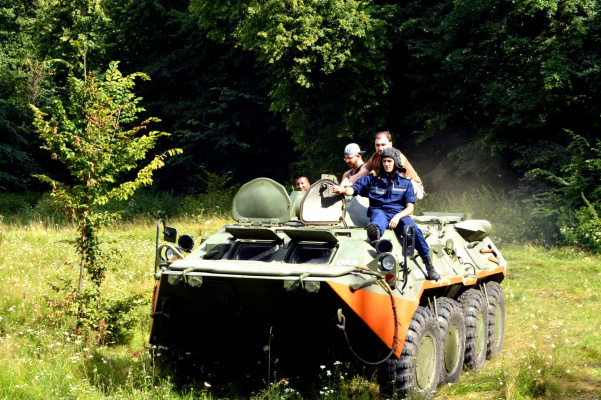 The BRDM-2 weighs 9 tons and accommodates a four-person crew. 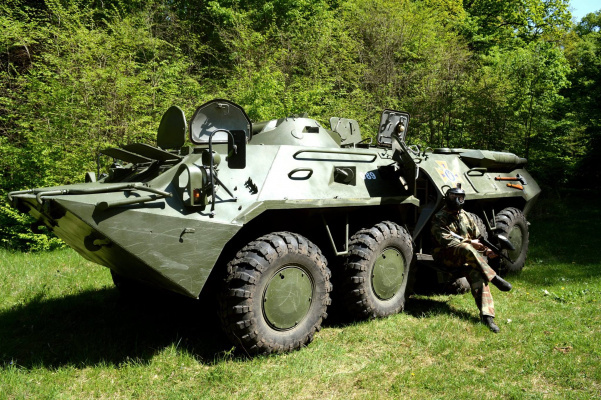 The production of this model ended in 1989, however the BRDM-2 is still in use in at least fifty countries around the world. 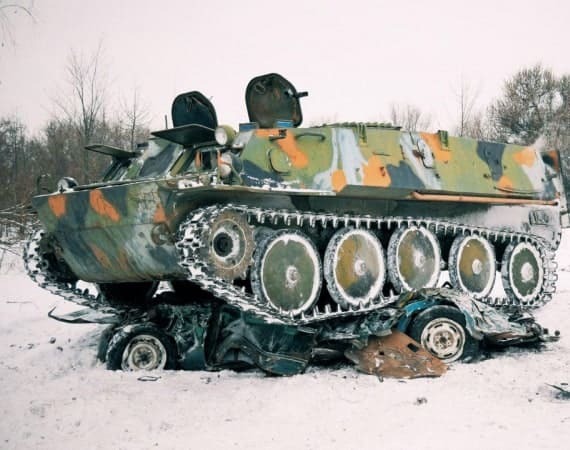 Appeared in USSR in the 80s, this armored transportation vehicle continues to be produced, with some modifications, and is still used by armies today. It is a durable, spacious vehicle, with a 260 horse-power engine and the maximum driving speed of 90 km/h. 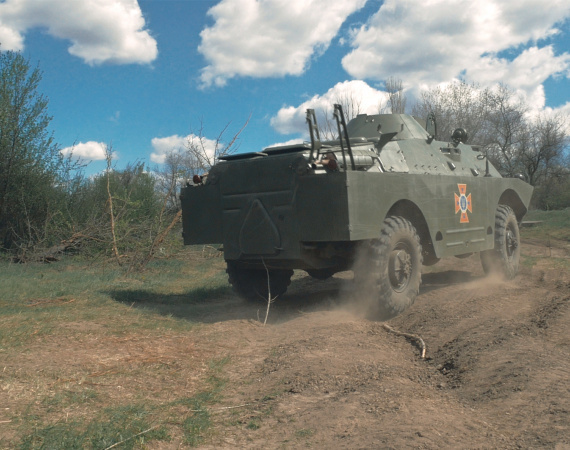 It’s capable of easily driving over ditches of up to two meters deep, and obstacles of up to 50 centimeters tall. In addition to that it’s amphibious and is capable of traversing rivers and small lakes with the maximum speed of 10km/h. The crew consists of three members and up to seven passengers inside the vehicle, with as many as can fit riding on the roof. Today this model is used by the armed forces of 26 countries. 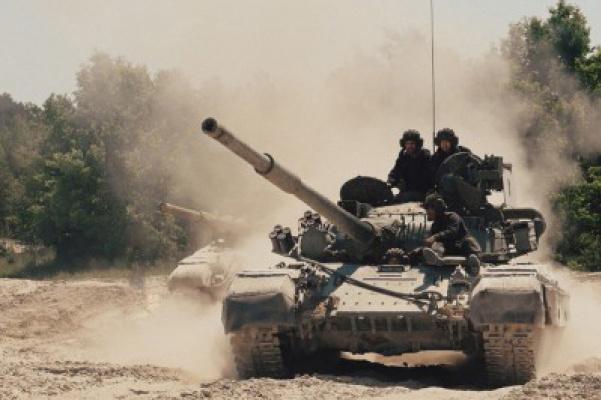 This legendary Soviet tank was designed for a four-person crew. Its powerful, 580 horse-power engine enables it to breach ditches and fortifications, ford rivers and strike a chill into the hearts of enemies with its noise alone! Developed in the USSR, it was a fearsome weapon in the 1960s and 1970s. Although the production of this model ceased in 1975, it remains in use by the armed forces of several countries today. Sitting behind the wheel of this monster-vehicle is an adrenaline rush you will not forget! Our main goal is to provide safe and enjoyable entertainment, and with this in mind we have arranged all our excursions to be accompanied by experienced instructors and guides, who are always at your service for assistance. 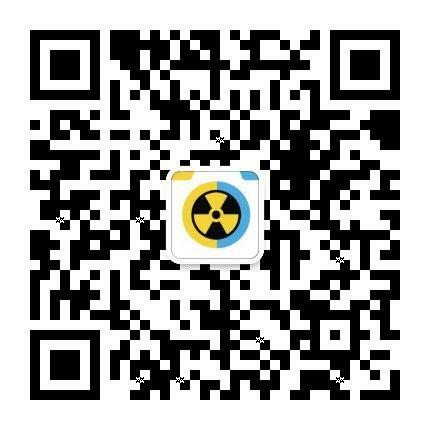 Register for our excursions now, and invite your friends, because it’s always better to have fun together!